Fabulous occasion wear dress from French designer brand, CATIMINI. Look no further if you need that special something to wear. 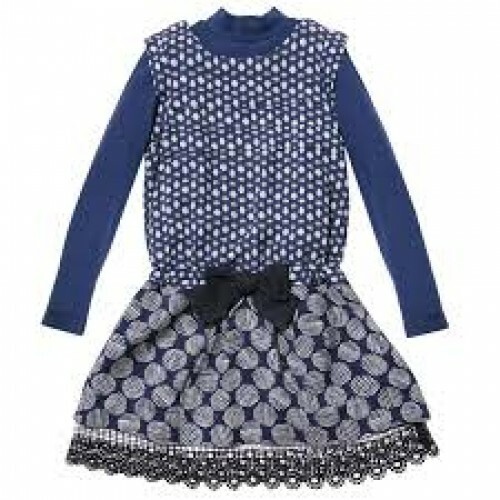 Pinafore-look dress with plain blue long-sleeved top with dress in lovely silky fabric.